It's been a manic fortnight! 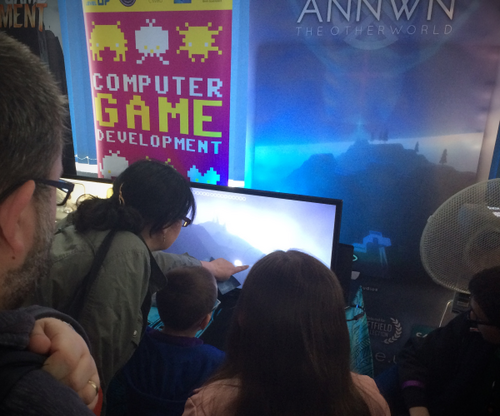 Annwn was exhibited in the Leftfield Collection at EGX Rezzed and then at Wales Comic Con one week later. What went right...lots and lots of useful feedback...detailed discussions of game mechanics and narrative theme...met many other devs...meetings at EGX were good...games I did get to play were inspiring...fixed the ComicCon build on the show floor...loads of help from the graduate teams at Glyndwr University...and the sun shone! What's next? A new demo build incorporating feedback from both shows. We now have a Discord group for Annwn which would be a great place to share feedback on the demo. And my retrospective on The Sentinel - the game that inspired me 30 years ago - was published today. Wishlist the game, join the Discord, keep in touch!